15 year vetran comedian Clark Robertson has taken on a new persona. That's right ... Clarck Robertson is Don Cherry! 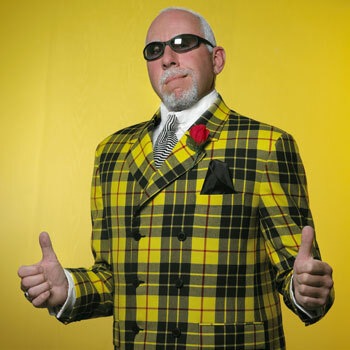 Combine Clark's years of comedy expertise with Don Cherry's looks, voice and style and you have a host for your next event that will have people talking! Sports fundraisers, sports awards, golf tournaments, or to emcee your convention or conference. Why have the same old emcee that puts people asleep when you can have Don Cherry to shake things up a little! When Don Cherry hosts your event ... people listen! Noteable Entertainment & Events is a Vancouver based booking agency, party rental, entertainment services and event production company. If you are interested in booking Clark Robertson please contact us.